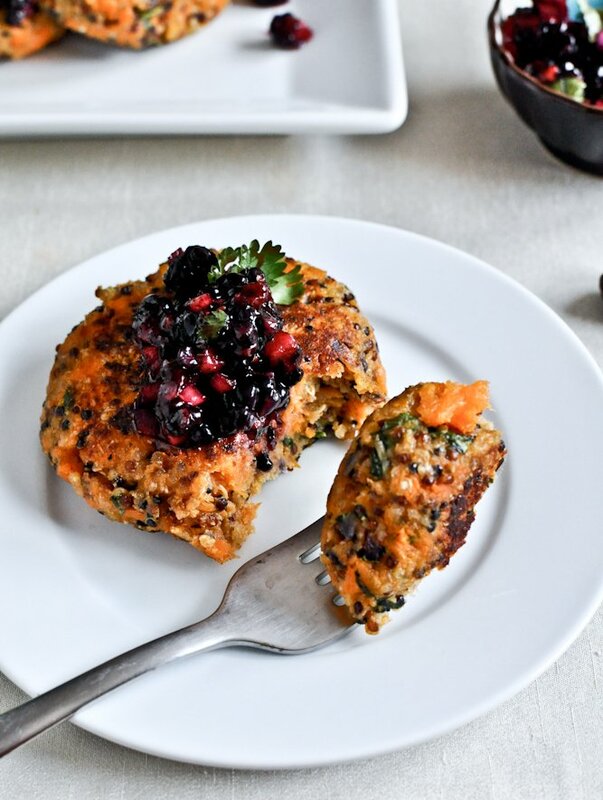 Sweet Potato Quinoa Cakes with Blackberry Salsa. Cakes without sugar. Not sure how I feel about this baloney. I thought they might rank up there with my husband’s lack of sleeves on shirts, biting into an unsuspecting fennel seed (haaaate) on my pizza, the googly eye that the Target cashier gave me when I purchased three neon bras from the junior section and anything – and I do mean ANYTHING – that requires me to have patience. But I was wrong. I’m in lust. A few nights ago it dawned on me that we hadn’t eaten potatoes – like, regular Idaho’s or russets or whatever – in ages. No idea why, other than pure lazi-and-forgetfulness. So I was absolutely craving them, and more specifically I wanted mashed potato pancakes cooked in bacon grease and delivered to me on a warm plate with a few dipping sauces while I stayed firmly planted on the couch. Wah! Life is sooooo unfair. THIS is what happened though. Messy hands. I had two lonely sweet potatoes left, a container of cooked quinoa ready to go for breakfast, and I wondered what the heck would come of combining the two with some cheese and bread crumbs and herbs and stuff. And patting them into little cakes for a dinner side. Oh and topping them with fruit salsa! Because I am clearly incapable of going one week without cutting some fruit into little cubes, combining it with onion, lime and cilantro and proclaiming it the best salsa on Earth. Again. 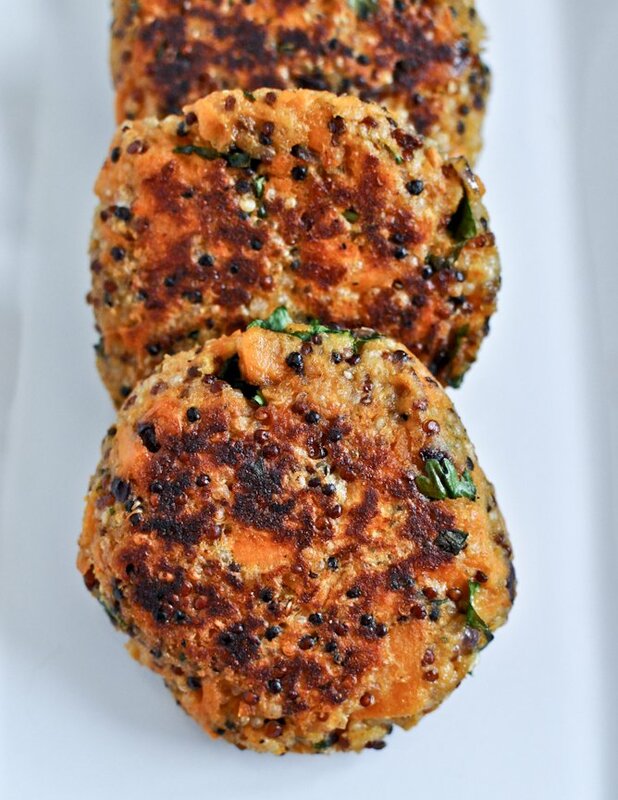 The sweet and the savory, the warm and the cool, all combined with fluffy cakes that possess a tiny bit of quinoa chew might just be my new favorite side dish. For now anyway. And maybe tomorrow. I mean it’s not like I’m fickle or anything. 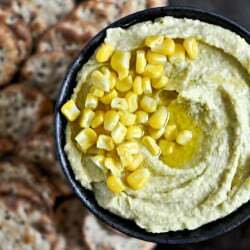 Heat a large skillet over medium-low heat and add 1/2 tablespoons olive oil. Add in sweet potato, onion, 1/4 teaspoon of salt and 1/4 teaspoon of pepper, stir, cover and cook for 10-12 minutes, or until potato is soft. Remove lid and add garlic, cooking for 30 seconds. Transfer potato mixture to a large bowl (slightly mashing potato with a fork) and add quinoa, breadcrumbs, cheese, herbs, remaining salt and pepper and mix well. Once combined, add in egg, then mix until moistened. Using your hands to bring it together, form four equally-sized patties. Heat the same skillet over medium heat and add olive oil. Add cakes and cook for 3-4 minutes per side, or until golden brown. 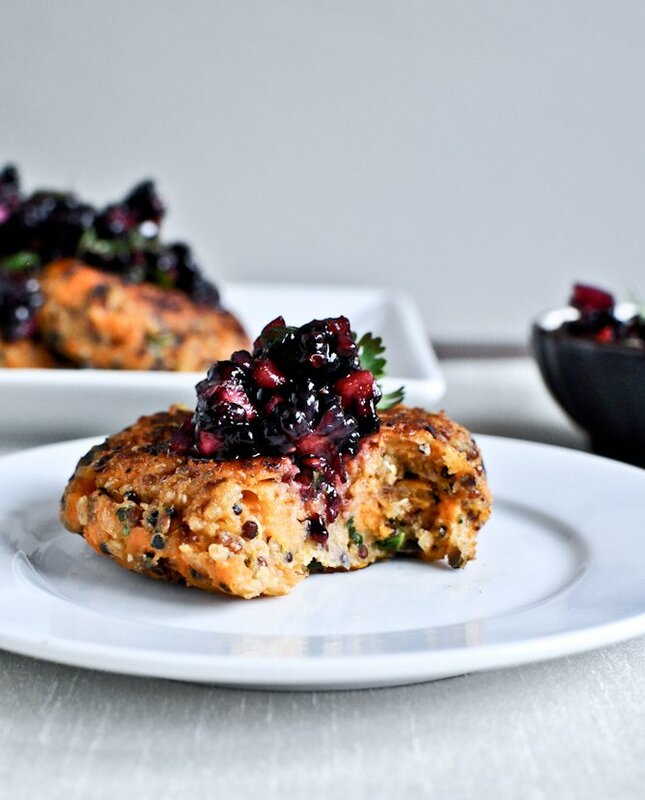 Serve with blackberry salsa! I totally think these should be cooked in bacon grease too… I was fresh out. Sad day. I have a question. I was interviewed for the local paper here in Miami on a piece about how to make foods taste healthier without lacking flavor. 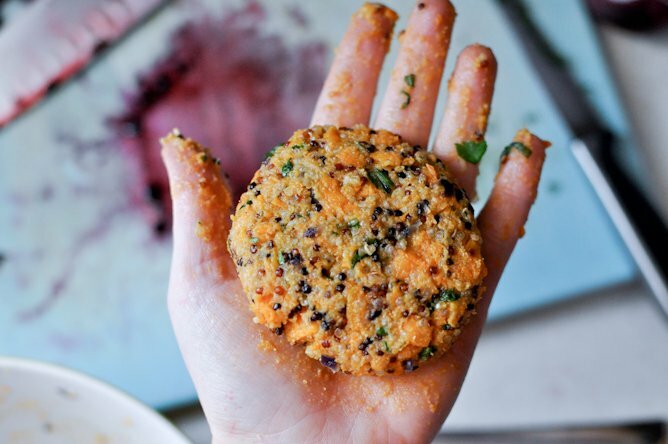 I mentioned this recipe, your sweet potato quinoa cake (because I’ve made it and it’s amazing! ), and how the basil and cilantro really make the flavors pop (I omitted the salt). The reporter wanted to see if she would be able to cite your recipe in the paper. I am unsure of how that works, but wanted to check with you as I know the recipe is yours. Please let me know. Thanks! How long will the salsa last? Fantastic flavor! This will be in the regular rotation now! Thanks! Pingback: House Husbanding 202 – Olive and Brain in Spain!